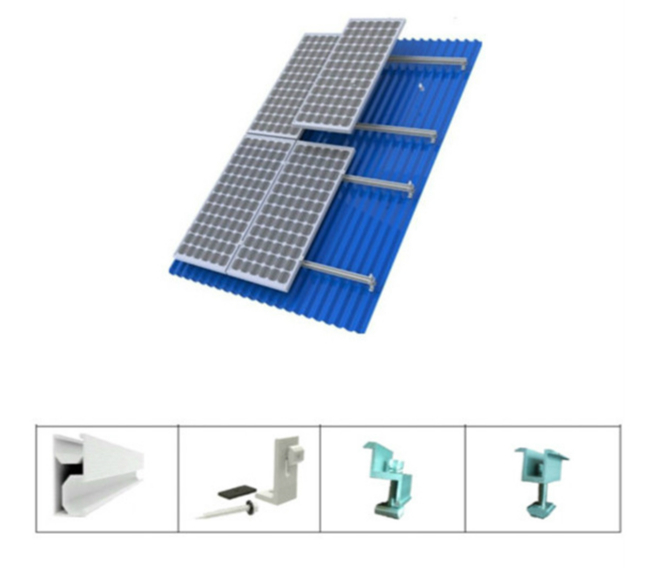 Product categories of Solar Roof Mounting System, we are specialized manufacturers from China, Solar Roof Mounting System, Solar Adjustable Roof Mounting System suppliers/factory, wholesale high-quality products of Solar Roof Mounting System R & D and manufacturing, we have the perfect after-sales service and technical support. Look forward to your cooperation! Roof mounting system have pitch roof racking system and flat roof racking system. Pitched roof racking system have tile roof system and tin roof system. Our technician will advise suitable mounting case according to your roof is tile, metal steel or asphalt shingle and installation angles. Our brackets have Q235 steel material finished by galvanized and aluminium alloy material. Our rails, end clamp and middle clamp quality is very best and price is very competitive. Our advantages are best price and professional design team. And the after-sale service is pretty good that we will be always help you if you meet any problem in installation process.